The Sokoto State chapter of the All Progressives Congress and its governorship candidate, Alhaji Ahmed Aliyu, have filed a petition at the election petitions tribunal. They are challenging the re-election of Governor Aminu Tambuwal of the Peoples Democratic Party. The tribunal on Thursday granted an order to allow the APC’s counsel to inspect the electoral materials used for the governorship election and the supplementary poll. The materials include forms, ballot papers and card readers. The order followed the motion filed by counsel for the APC. A member of the APC’s legal team, Bashir Jodi, confirmed the filling of the petition to journalists in Sokoto on Thursday, shortly after the sitting of the tribunal. Jodi said, “The counsel have over 40 witnesses to present at the tribunal, when the hearing of the case commences. 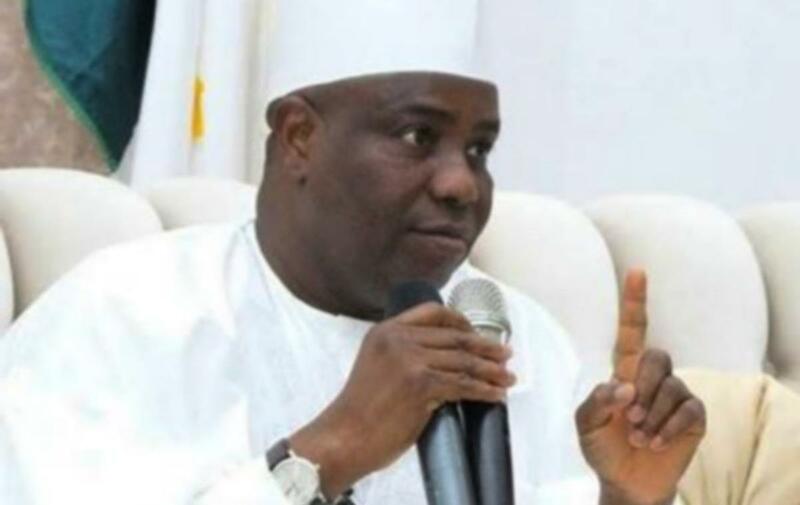 “There are many cogent grounds upon which the election of Governor Aminu Tambuwal is being challenged, and these centered mainly on trampling on the Electoral Act, 2010, as amended, during the March 9, 2019 governorship election, as well as the March 23, 2019, supplementary poll. The Senior Special Assistant to the Governor on Special Duties, Yusuf Dingyadi, expressed his principal’s confidence in the nation’s judiciary. “Governor Tambuwal is not moved by their propaganda and mischief. The people of Sokoto have spoken with their PVCs by rejecting the APC and reposing their confidence in Tambuwal. “Tambuwal’s peaceful nature and disposition is not an act of cowardice and it should not be taken for granted,” Dingyadi stated.